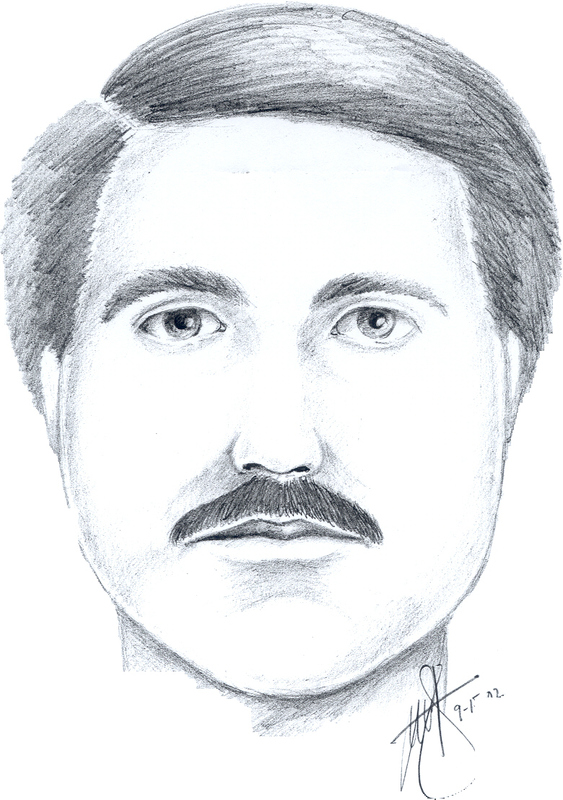 (October 1, 2002) -- Help LBPD find this kidnapping suspect. LBPD believes he grabbed a 4 year old girl from a LB daycare center in the 2200 block of Olive Avenue on Sept. 30. The circumstances are chilling. Police believe the suspect tried open a locked chain-link game and entered the playground...where two 4 year old girls were playing; he allegedly approached two four year old girls in the playground, asked if he could show them something and when they walked to the suspect, he allegedly grabbed one of them by the arm and began pulling her outside the playground to his truck that was in the alley. Police say an assistant teacher from the daycare center saw the suspect and did not recognize him, grabbed the child back from him and the suspect drove away southbound in the alley. Police describe the suspect as a male Hispanic with short hair, 30 to 35 years old, approximately 5'4" to 5'9" and 140 pounds to 165 pounds with a small build and wearing a white T-shirt and khaki colored pants. The suspect's truck is described as a 1980's to 1990's white pick-up truck, possibly a Toyota with miscellaneous items in the bed. LBPD is asking anyone with information regarding these incidents to call LBPD Detective Russ Moss at (562) 570-6407.